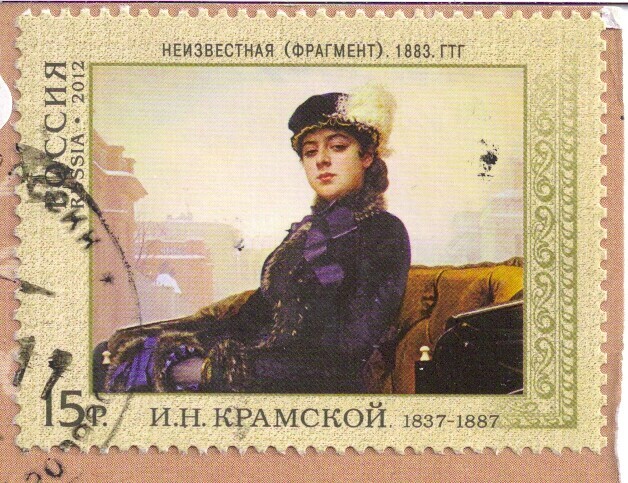 Mailbox Happiness: I Love Postcards, Yes I Do! Bright, funny, happy, and serious ones too. Natasha Chetkova is another artist that I love, her postcards are always bright and happy. 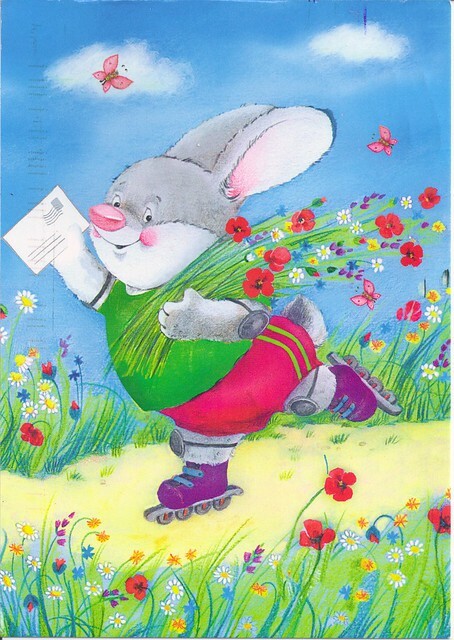 Add in a bunny and mail, it's a sure winner! 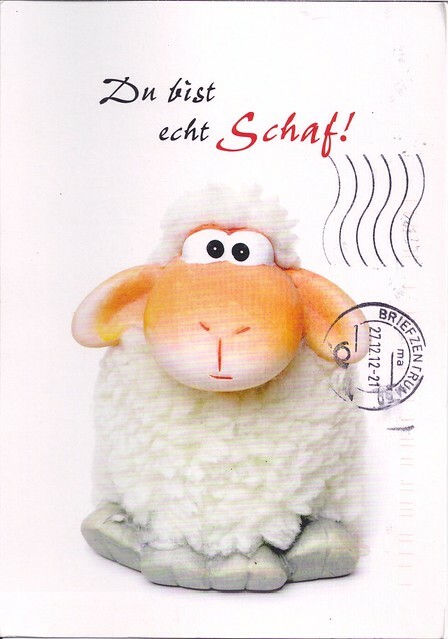 A sweet sheep postcard from Postcrossing. Cute, white and fluffy, perfect for my small but growing collection! 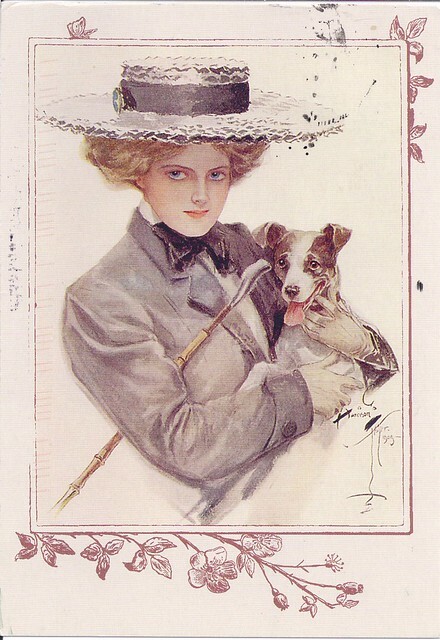 A beautiful lady and her adorable dog, this looks to be a vintage reprint postcard. I love postcards too and there are so many different varieties. It still amazes me. Wow love them! Are these from yesterday or do you get mail on sunday too? We don't, we have one day we don't get mail, that's sunday. Or days that are considered as sunday. Like the two Christmasdays.